Have you ever though that besides your skin, your nails also get aged and there are certain products to protect them against aging? 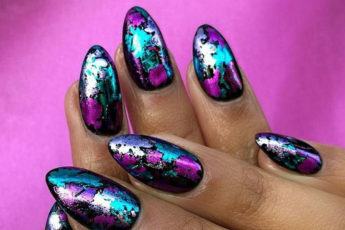 So besides adding a dapper, stylish touch to your nails, from now on nail polishes can also protect them from aging. It may sound a little fairy-tale like, yet Dermelect Cosmeceuticals has made this a reality, enabling you to look spectacular, as well as take care of your nails. The innovative Dermelect ME anti-aging nail polishes strive to not only coat your nails with a beautiful color, but also make them always radiate youthfulness. Dermelect Cosmeceuticals creates its revolutionary nail varnishes using ProSina, a protein peptide extracted from New Zealand sheep’s wool, which protects nails against chipping, peeling and splitting, as well as delivers a high gloss, creamy finish. The brand advises to apply two coats. The first coat bonds with the nail, while the second one blends with the base coat, making it look flawless and activating all the benefits of the formula. Each of the anti-aging nail polish bottles contains 0.4 fl. Oz product and retails for $14. You can get your fav hue from the company’s website.